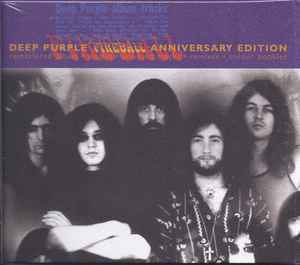 Published By – Deep Purple (Overseas) Ltd. Published By – Memory Lane Music Ltd.
Mixed At – Ambient Recording Co. The Copyright in these sound recording is owned by HEC ENTERPRISES Ltd., under exclusive license to EMI Records. Ltd.
© 1996 HEC ENTERPRISES Ltd.
Mixed at the Ambient Recordings Company, USA, 1996. Jewel-case comes packaged in a card box with a 28-page book containing photos and the history to the release.